We can't be in two places at once, but with virtual touch interfaces we can theoretically use a machine to act as our second body in a remote location. Over at MIT, Daniel Leithinger and Sean Follmer, with the advisement of Hiroshi Ishii, created an interface that makes this possible. 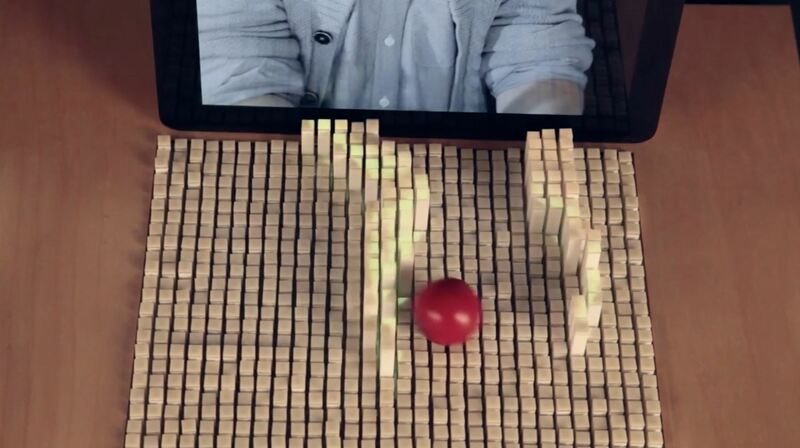 The inFORM, a "dynamic shape display," essentially acts as a pinscreen platform with variable height properties. 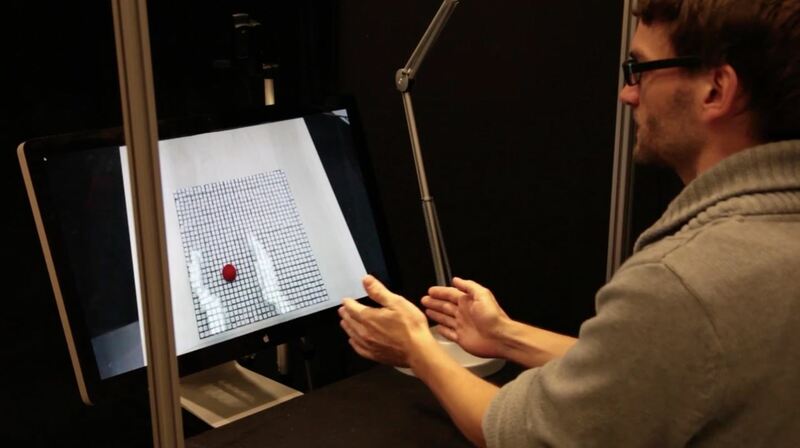 As you'll see in the video above, a Microsoft Kinect tracks the hands of the user in empty space and represents those movements remotely through the pinscreen. When the user's hands move vertically, the relevant segments of the board ride up. This allows for a duller reproduction of the user's appendages in real time, but nevertheless a reproduction precise enough to pick up and move objects (like a red ball). While a device like the inFORM has relatively few practical applications in its current embodiment, it demonstrates a very simple method of reproducing physical interaction through a virtual interface. It may be just a step towards the goal of creating more robust methods of interaction as we start to blend the digital and real worlds, but it's a very clever and important one. The near (or even far) future likely won't bring us teleportation, but we're nevertheless finding more and more ways to bridge the global gap with technology. For all intents and purposes, we actually will soon be able to be in two places at once.